We built the most configurable and powerful mortgage system with you in mind. See why thousands of teams use Shape Mortgage to close more deals, boost client retention, and keep their teams in sync. "Shape keeps everything organized for me and saves me hours worth of work each day. It makes the job easier and more manageable. I find myself and my entire workforce more productive." In the digital mortgage era, your team needs a system that builds strong relationships with potential borrowers and clients. Shape gives you a powerful solution to deliver and delight for years to come. Send perfectly timed follow ups, build nurturing drip campaigns, automate status updates, and more. Shape’s email automation frees up valuable time and keeps your process consistent and compliant. Shape’s payment amortization calculators help you provide accurate and real-time payment data your prospects need to make decisions. Cut down turnaround times and boost client satisfaction with ease. Manage your entire intake workflow in one place! Build robust intake forms, manage leads, and send online contracts and important documents securely with Shape's built-in eSignature. Get the answers you need in an instant with Shape’s internal team chat feature. When your LO can get in touch with a processor in seconds, deals are done more efficiently and clients needs are exceeded. Shape helps simplify your lending process by using smart automation to achieve incredible speed to contact. Focus on the right prospects at the right time and start achieving more. Score and assign quality leads to your team instantly. Connect with clients, lenders, and loan officers from a single platform and never miss out on a possible opportunity. Streamline the entire loan process from start to finish by exporting to Fannie Mae 3.2 File or Bi-directionally syncing with your LOS. Shape is a preferred partner of Encompass and Calyx Point. With click to dial, inbound & outbound calling, call recording, local presence, SMS messages, and more, your team gets the enterprise-level sales features they need to close every deal. 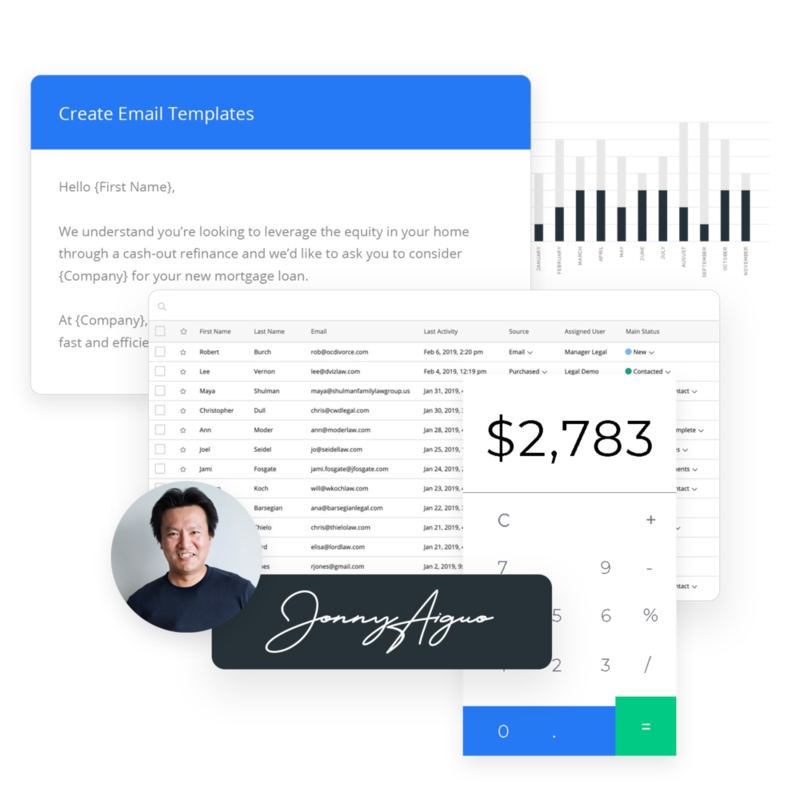 In addition to great sales and marketing tools, Shape comes packed with a true and easy to use CRM that makes organizing and managing your mortgage business easier than ever. Unlike other systems, Shape’s CRM allows leads to have multiple owners which means your team gets complete visibility and transparency into all activities for every prospect. Shape integrates with all the tools your team needs, like Twilio, SendGrid, MailChimp, Zillow Lenders Hub, Zapier, Ytel, and tons more. In addition, every plan includes a free integration to eSignature solution Sign by X.